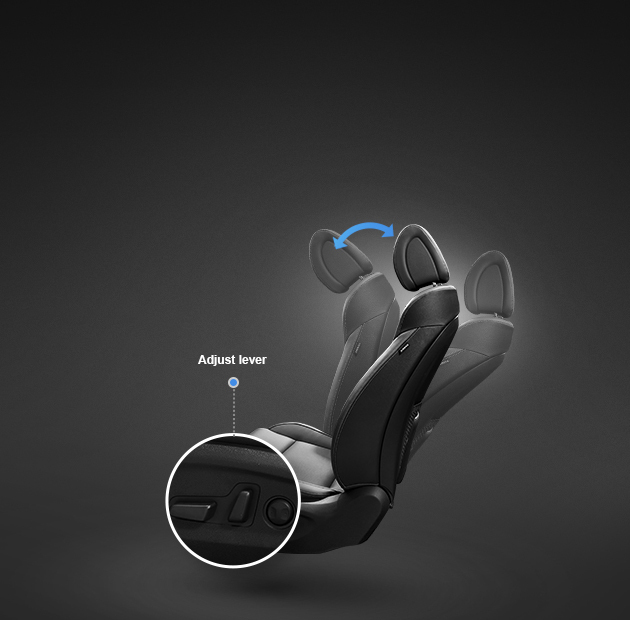 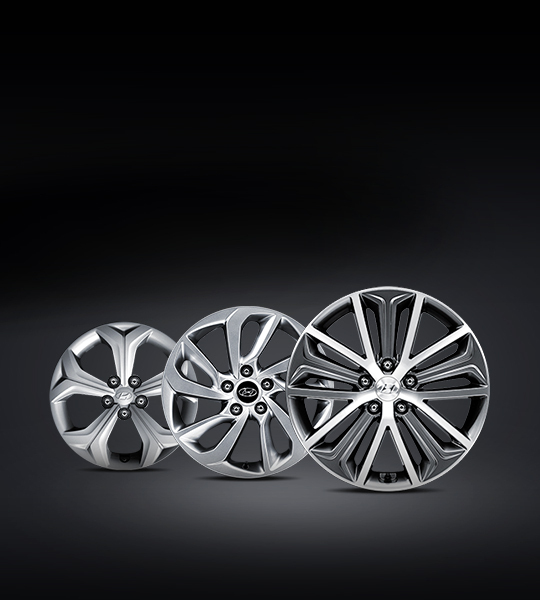 advanced features, you can now enjoy the extra comfort and confidence on the road at all times. 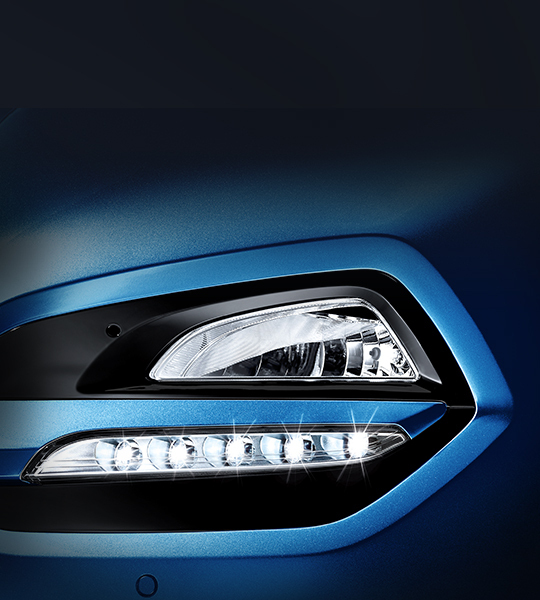 positioning lamps Creating a wider impression with a powerful look, the superb visibility of bi-function LED headlamps illuminates your road ahead with greater clarity. 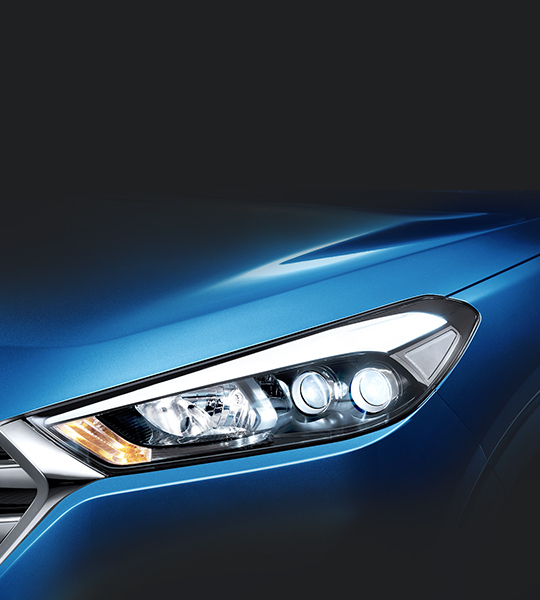 daytime running lights (DRL) Wedge-shaped LED daytime running lights (DRL) give a high-tech and futuristic form while integrated fog lamps keep you safe in any weather. 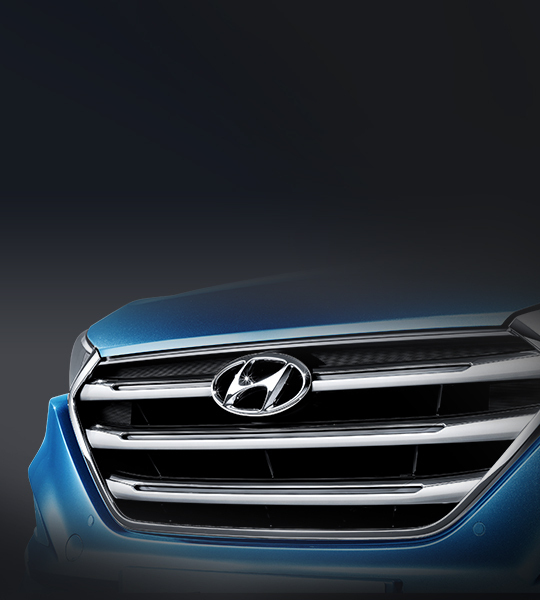 Radiator grille Hyundai’s signature hexagonal grille with a choice of metallic silver or chrome garnish type adds a unique and distinctive touch to its sophisticated and dynamic design identity. 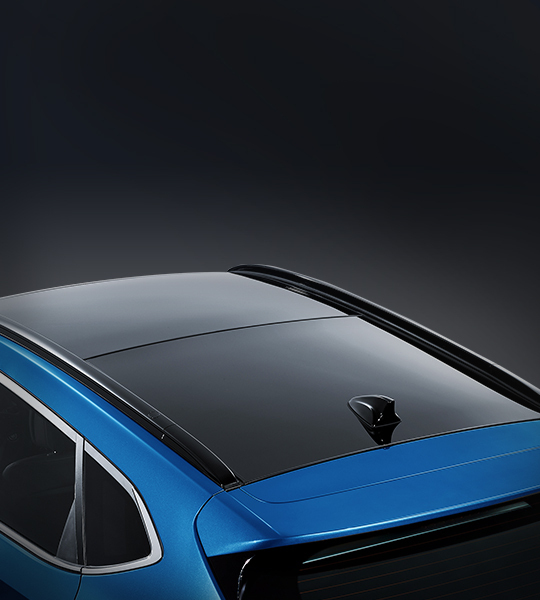 Panorama sunroof With more natural light, be closer to nature and feel the sensation of driving in air with panorama sunroof for your ultimate driving pleasure. 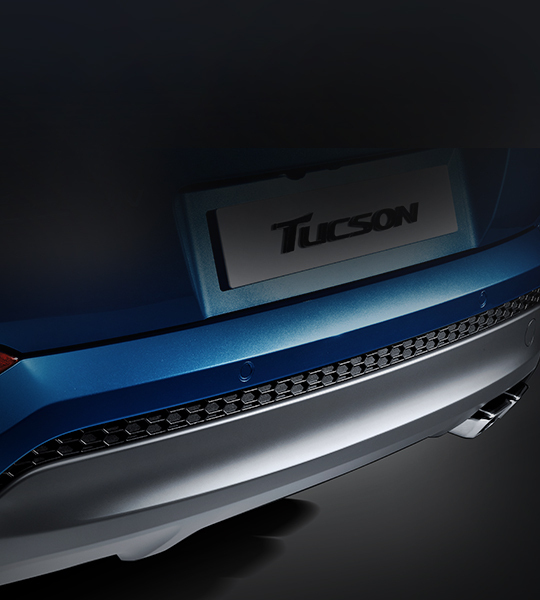 Beltline molding All-new Tucson takes design to the next level with a sleek and sharp sideline that enhances its strong and speedy character. 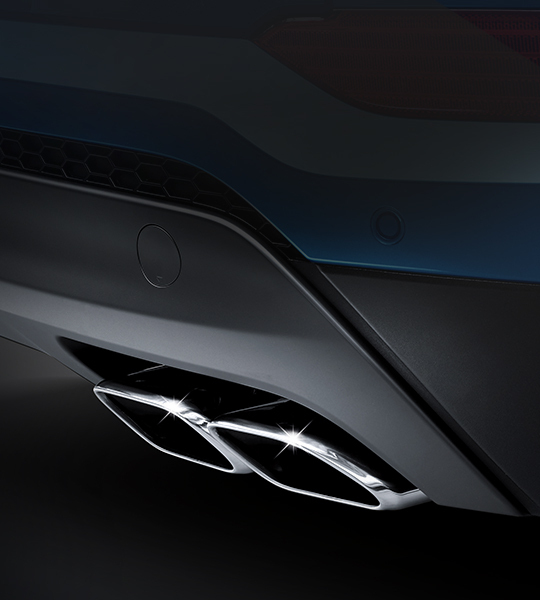 Dual mufflers The trapezoidal twin tail-trim offers premium image while the standard hidden-type tail pipe gives uncluttered rear image. 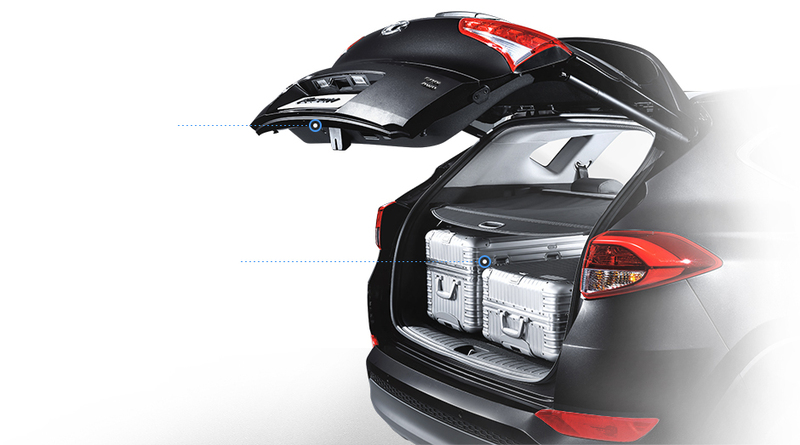 Rear skid plate With attention given to every function and detail, rear skid plate enhances safety and widens the overall exterior view. 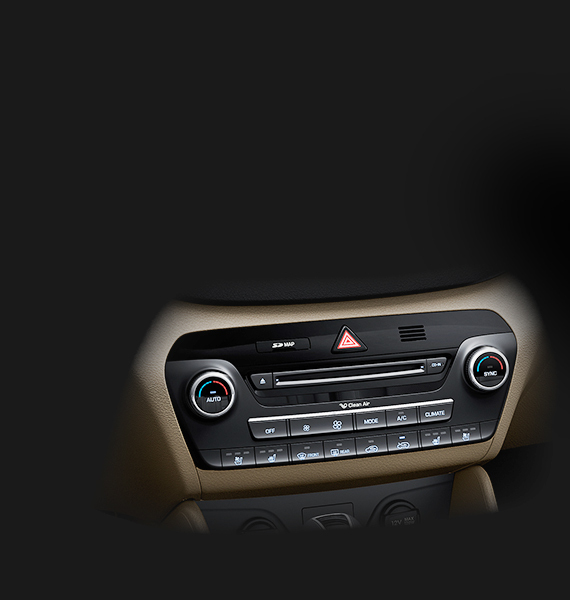 Side repeater lamps in the mirror covers also help other vehicles know which way you're headed. 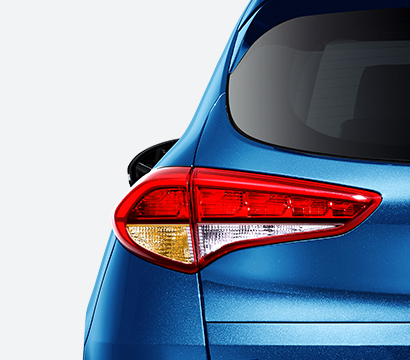 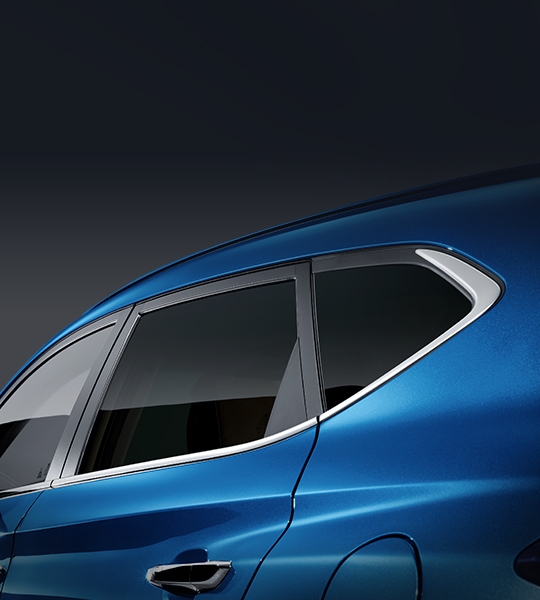 The rear wiper and washer application ensures a better rear visibility during inclement weather. 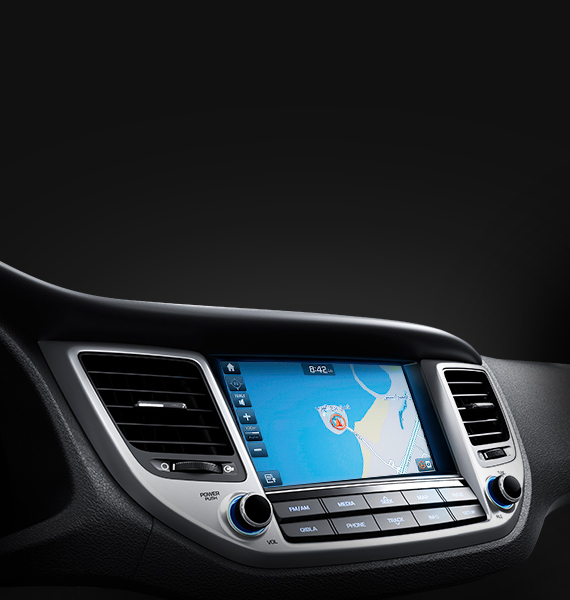 Sharper and more sophisticated supervision cluster with 4.2" color TFT LCD provides an easy read and an ideal view of all the information at a glance. 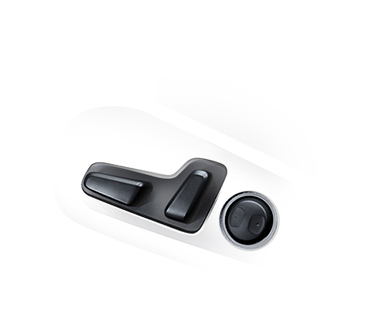 Take control at any time, all at the convenience of your steering wheel with built-in heating device and numerous control systems. 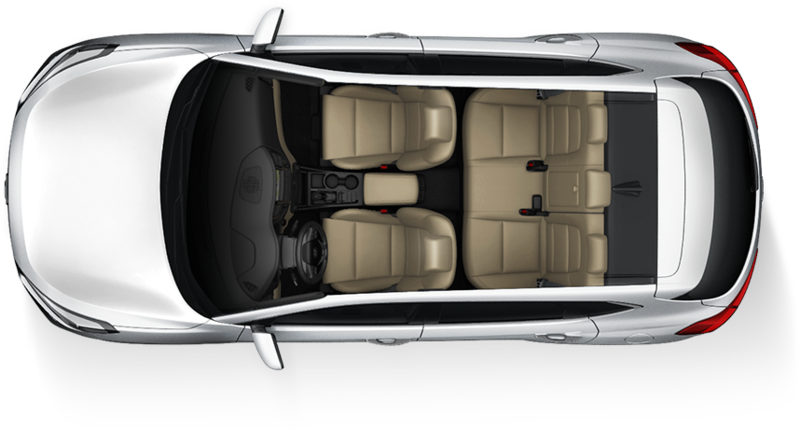 With the spacious and airy interior design, feel the fresh air flow right through from any seating and adjust automatically for your pleasure. 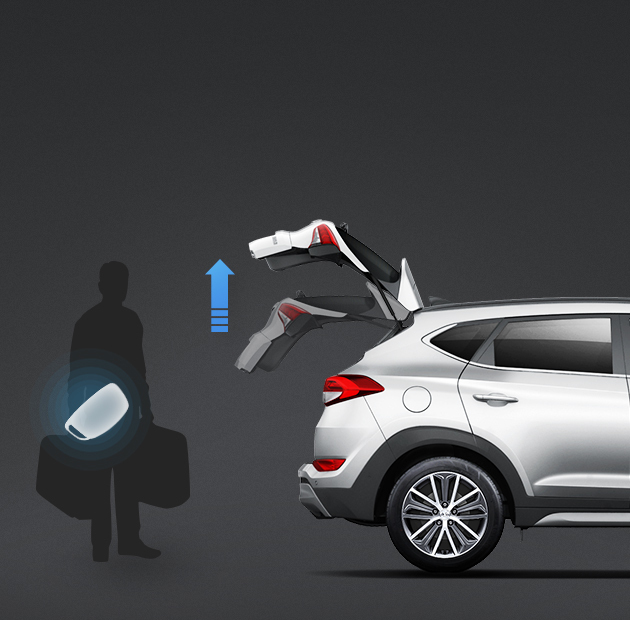 Generous with ample storage space, the two-stage luggage-board and cargo compartment screen of All-new Tucson make it possible to load any items with ease. 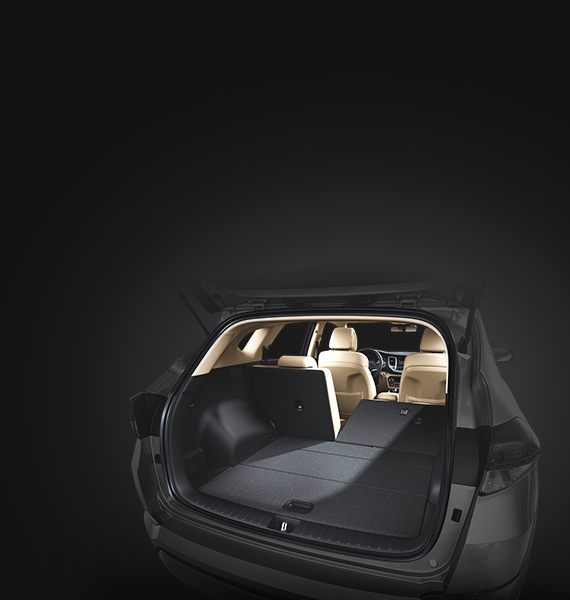 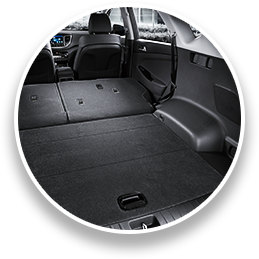 Ideal for your adventurous journey or simply any leisure activity, the folding function of rear seats in a 6:4 ratio let you load more and enjoy more. 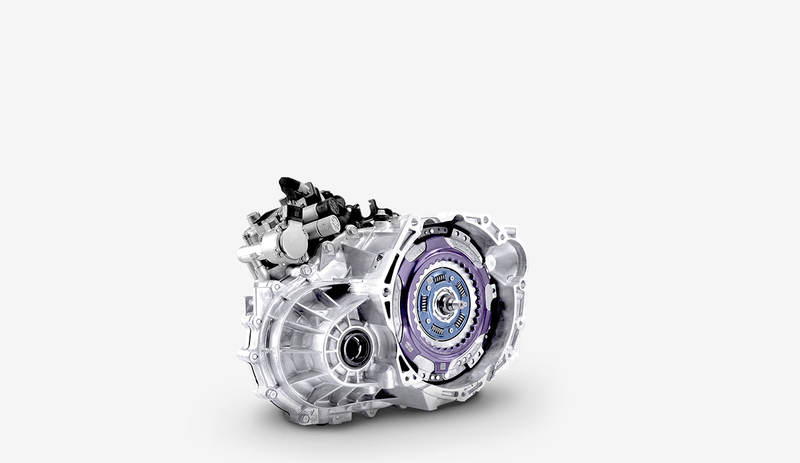 at 6,200 rpm and 19.6 kg∙m torque at 4,000 rpm. Based on compliance with the Euro 5 standard only available in select regions Depending on the region, there may be some differences. 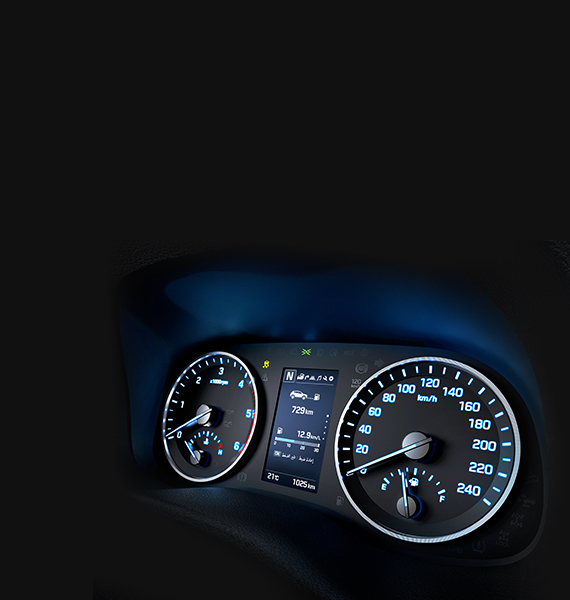 4,700 rpm. 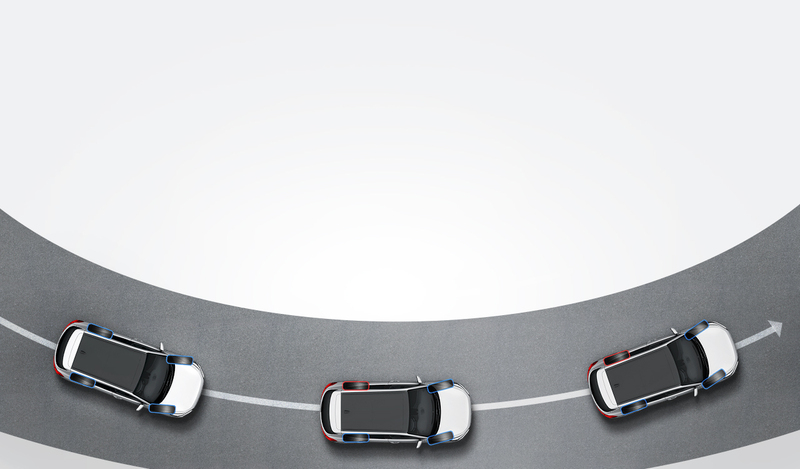 Based on compliance with the Euro 5 standard only available in select regions Depending on the region, there may be some differences. 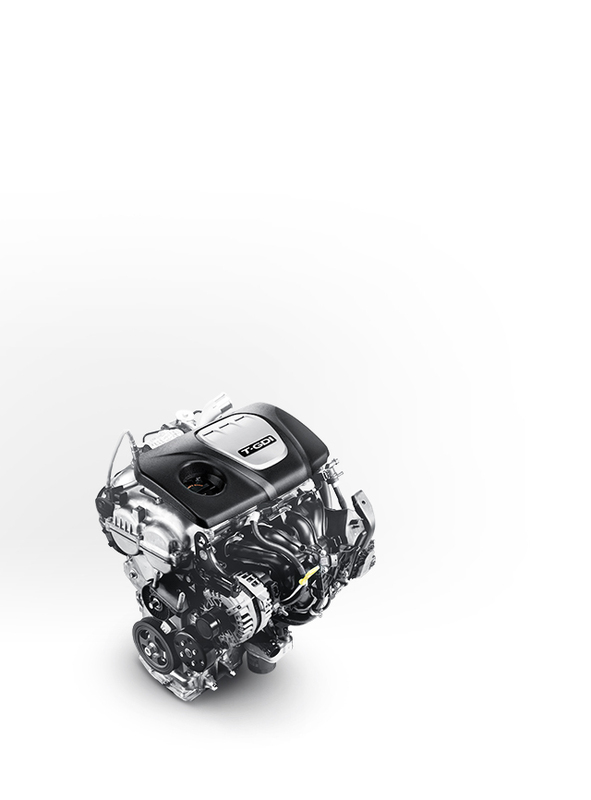 The 2.0 CRDi diesel engine delivers 185 ps at 4,000 rpm and 41.0 kg·m torque at 1,750 ~ 2,750 rpm. 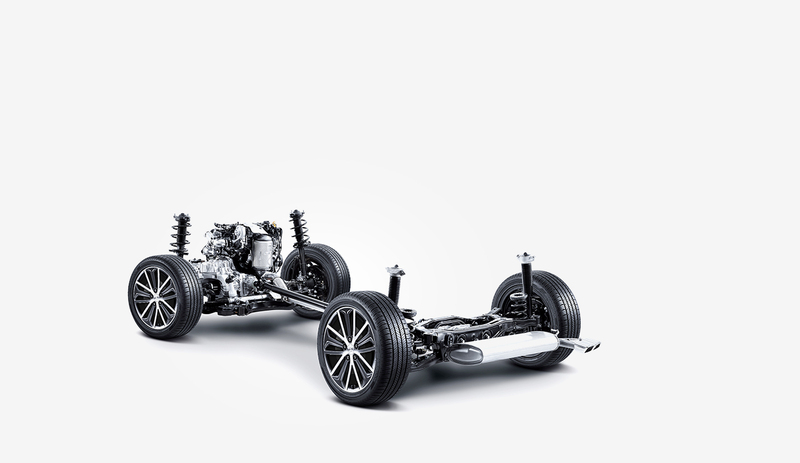 Based on compliance with the Euro 5 standard only available in select regions Depending on the region, there may be some differences. 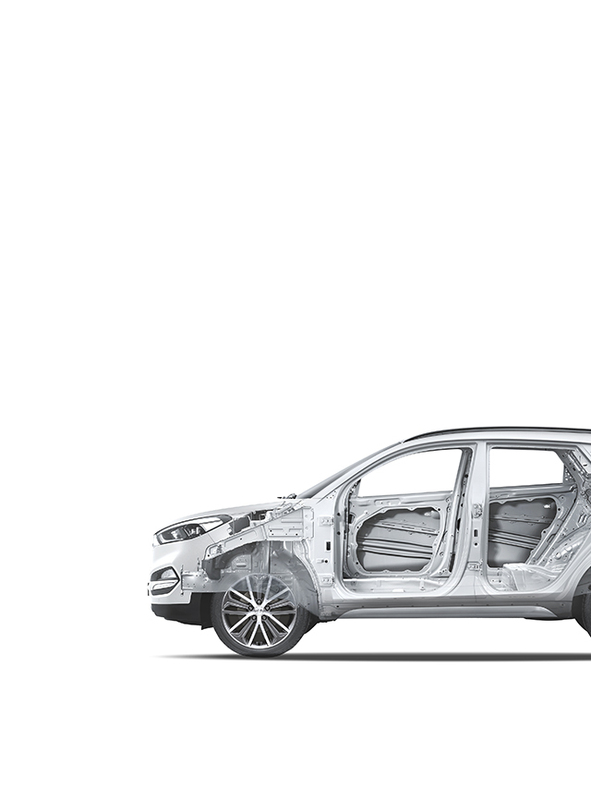 cutting-edge technology of All-new Tucson that ensures our promise for your safe journey. 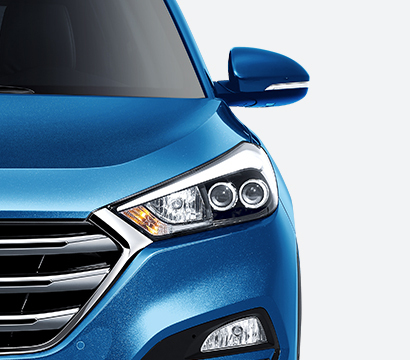 even when you’re not looking. 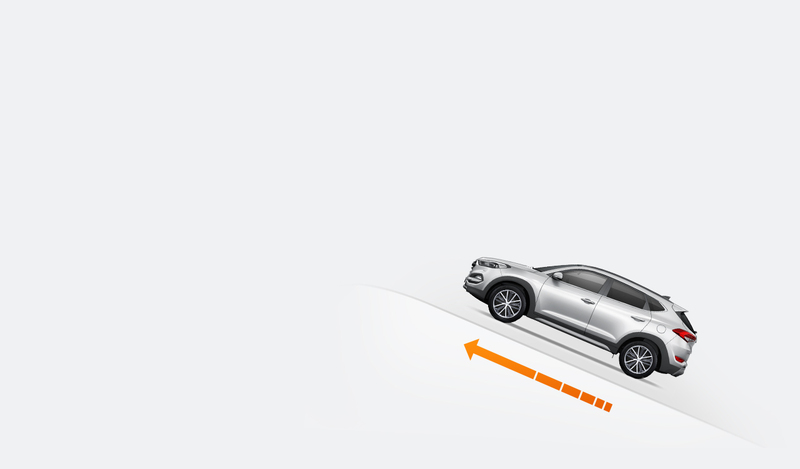 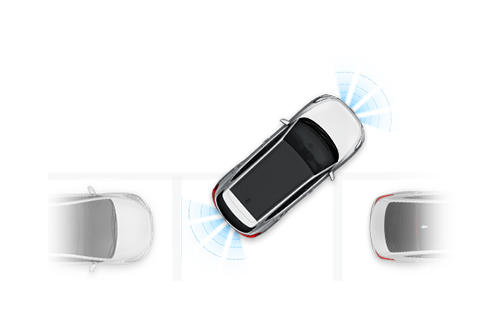 Reliable Lane departure warning system (LDWS) alerts you if the vehicle drifts too close to the edge of the lane. 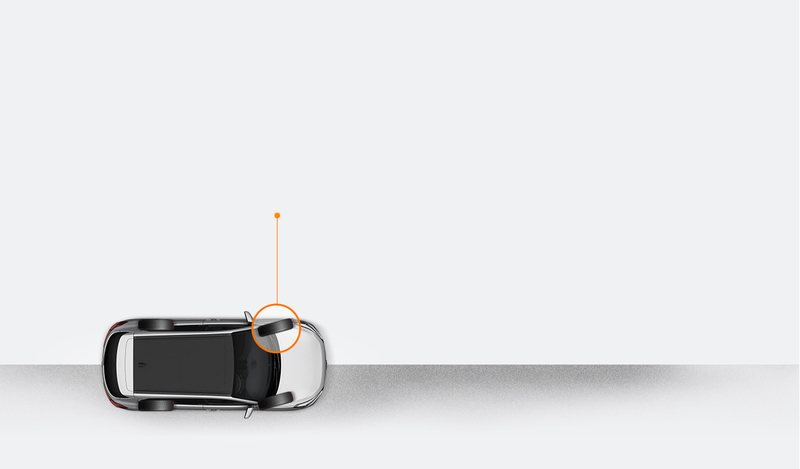 Alerting you with clear audible sounds and visual graphics, it’s hard not to be safe. 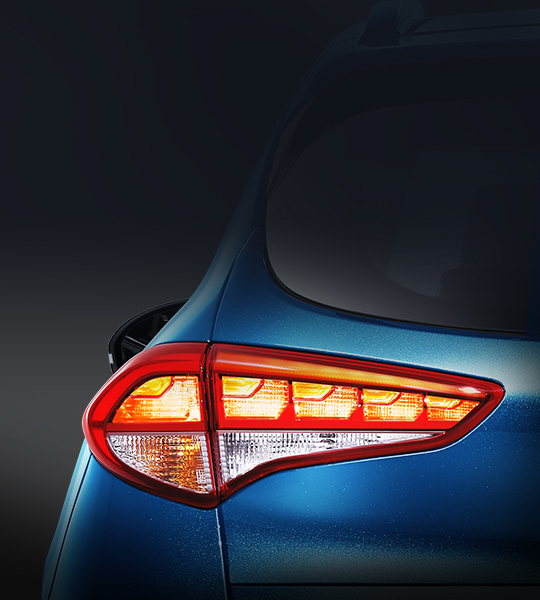 Guiding your way even in the darkest places, Static bending lights (SBL) will enhance your safety at night, providing wider visibility before turning into a dark corner. 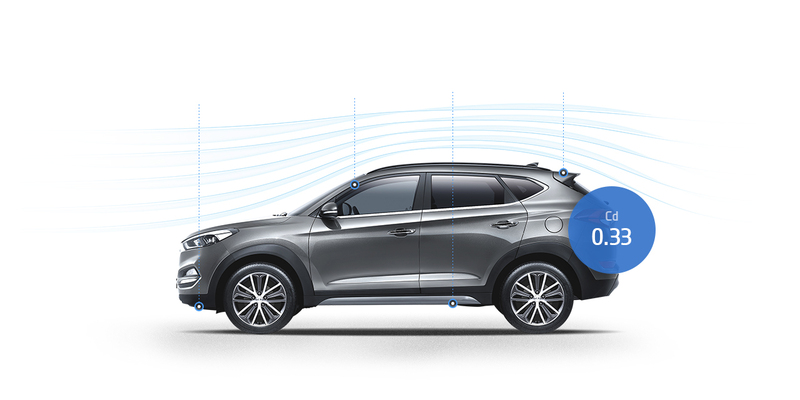 Vehicle stability management (VSM) Whether you’re on wet or slippery roads, Vehicle stability management (VSM) helps you drive with extra confidence, ensuring stability through co-operative control between Electronic stability control (ESC) and Motor driven power-steering (MDPS). 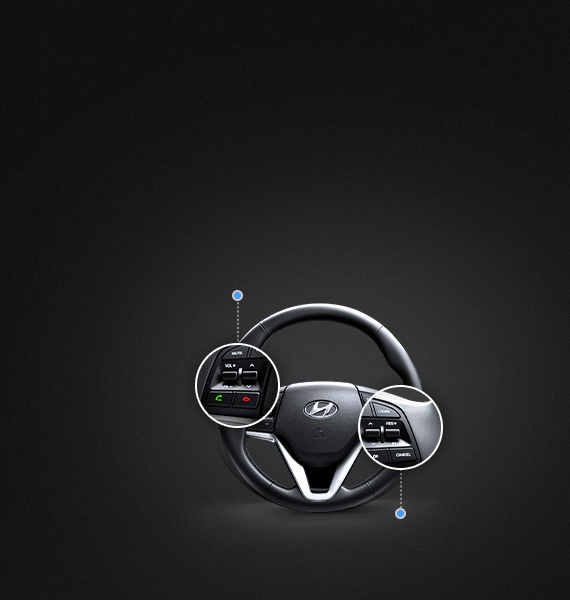 Steering assist system operates to the direction to low-friction surface in order to prevent under- or over-steering. 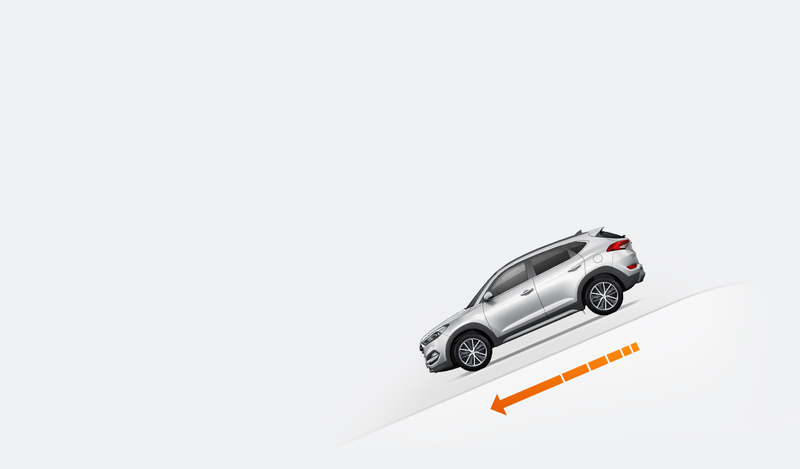 and Hill-start assist control (HAC) Designed to tackle any hills with automatic brake force for a steep downhill and automatically initiated brakes to prevent dangerous roll-back, All-new Tucson can inspire a real sense of adventure. 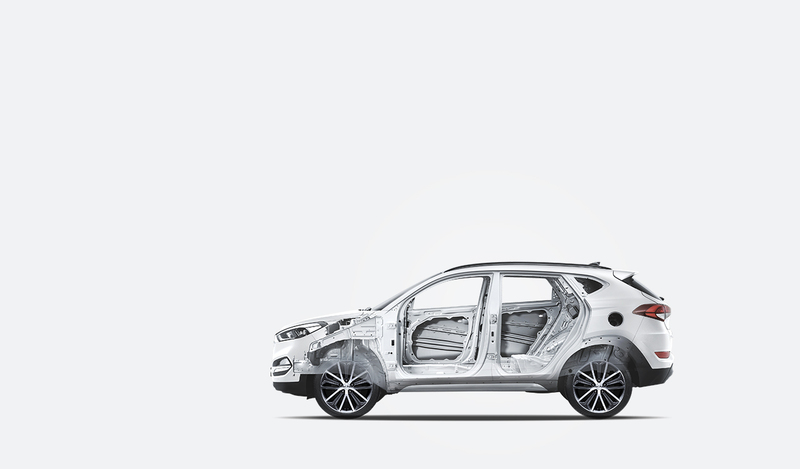 Advanced high strength steel (AHSS) Ensuring the best-in-class skeletal rigidity of the body, the All-new Tucson design is reinforced through the expanded use of Advanced high strength steel (AHSS) and hot-stamping process. 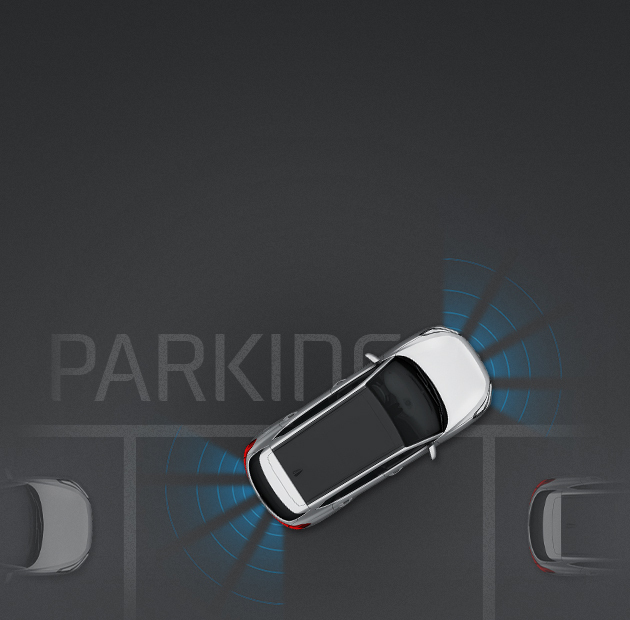 Parking assist system (PAS) Sensors at the front and rear bumpers that assess the distance between the vehicle and obstacles and alert drivers when necessary come in handy when parking in a tight space. 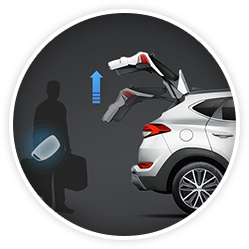 Smart tailgate system Intuitive hands-free smart tailgate system automatically opens the tailgate when an individual holding the proximity smart key moves within the detection zone for 3 seconds or more. 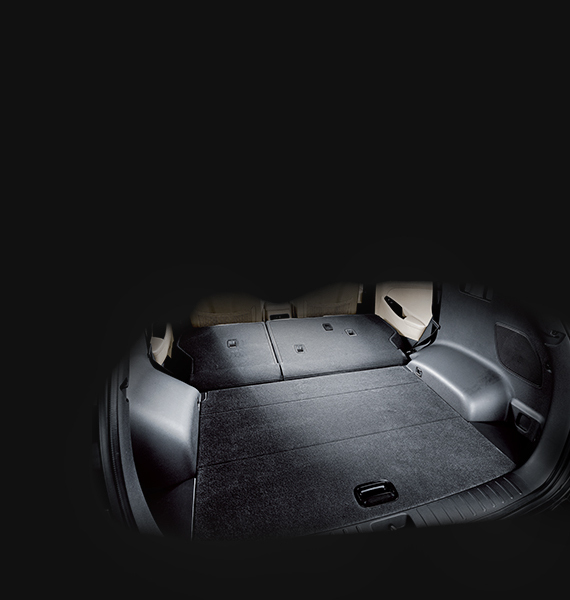 To ensure you extra safety, the alarm is sounded and the vehicle’s hazard lights flash prior to the tailgate opening. 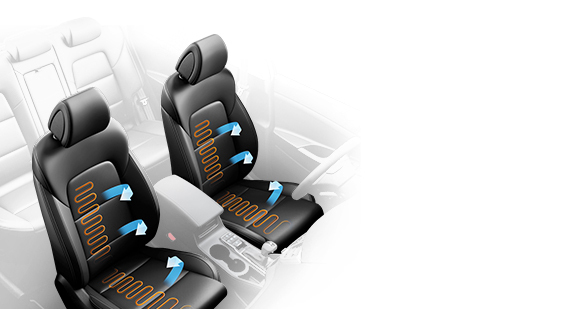 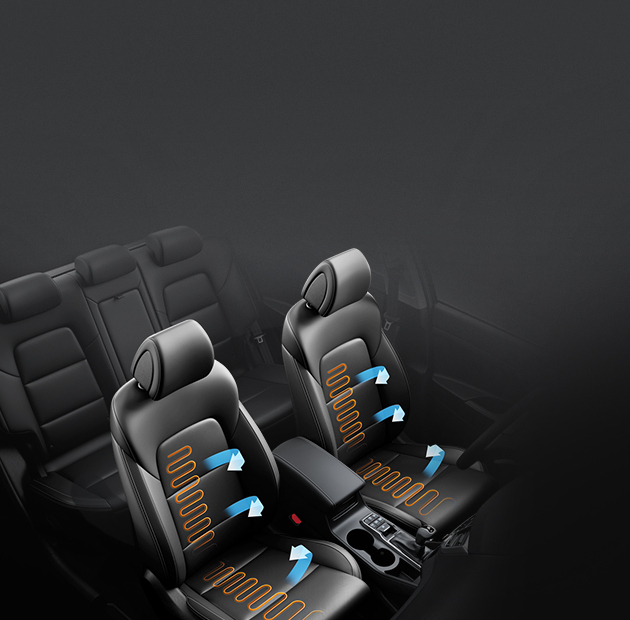 Seat warming & cooling air ventilation system Feel the crisp air with the cooling air ventilation system in high-humidity weather conditions or be wrapped by warmth with three levels of heating capability embedded into the front seats. 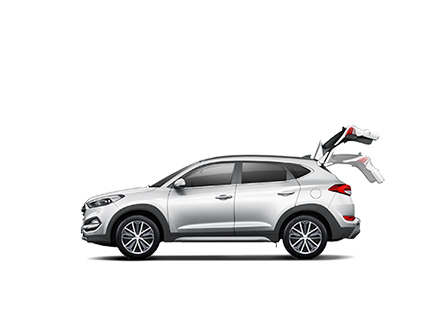 Either way, all-new Tucson provides you maximum seating comfort all year round.